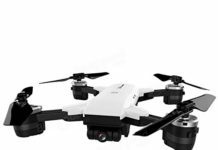 4K drones are costly. However, the video and photo quality will assure you that indeed, you did the right thing to buy the drone. 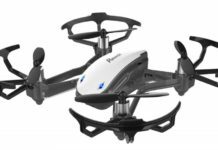 One such drone is the Autel Robotics EVO quadcopter, a marvel of technology indeed. Well, suffice to say that this drone is as good as its namesake in the car world, the Mitsubishi EVO. Or is it? That is what we are going to find out in this short review. 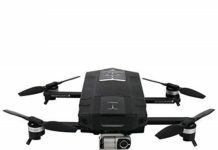 Being a foldable drone with a 4K ultraHD camera is not enough as there are more features. This is a drone worth having and besides, it is built to last a long time. 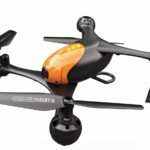 Physically, this is a beautiful drone with bold black and orange colors, which make it easy to spot from afar. 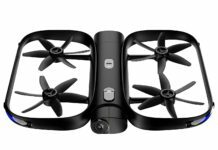 The arms of this drone fold onto the body making it small and manageable, compact size of 10 by 5.5 by 5.5 inches. The propellers also fold for better storage. When you want to fly the drone, just take it out, unfold the arms and you will be ready to fly if the battery is charged. As a typical quadcopter, this drone has a propeller on each corner. 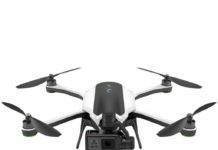 Too many drones have good features, but poor battery life. So what is the Autel Robotics EVO battery life? You will get a flight time of 30 minutes. Now, you have to concede that they do not come any better than that. This is an intelligent 4300mAh lithium polymer battery. You will know the battery status. You will not need a smartphone to enjoy the first person view experience with this drone. The reason for this is because the stylish controller comes with an on-built screen, 3.3 inches. 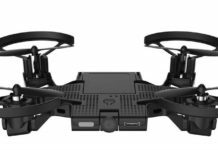 This powerful controller is powered by a 6300mAh battery, bigger than even that of the drone. 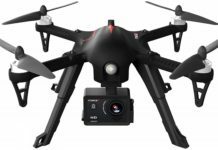 Besides, the drone is also shipped with a 32GB micro-SD card so that you can store your footage there and later transfer it to your computer. The controller is simple to use and straightforward. There is the one takeoff and landing key, with arrows pointing up and down. There is the power button, two joysticks, one on either side of the controller. Flight distance, battery meter and other data is displayed on the controller to help you make decisions fast. Now, we all know that a camera drone is only as good as its camera. And the Autel EVO does not disappoint at all. The video camera is 4K, high resolution and sharp videos all the time. Then there is a 12MP camera for the photographs, again, great quality images all the time. In fact, the video quality on this camera is too sharp such that it is recommended that you fine-tune the resolution details so that the footage does not look too sharp to be true. The camera has been designed on a 3-axis gimbal for stabilization. Even when shooting footage in high speed and in windy conditions, the camera does a great job of keeping the camera stable. The Autel EVO has been designed with GPS & GLONASS systems that enable the drone to hold altitude pretty well. In addition, there is the auto-return feature that brings your drone back home to where it was launched from when the battery runs low or when connection to the controller is lost. While the Autel EVO can fly to a height of 2600 feet, it is important that you keep to the legal height of 400 feet, no matter the temptation. Besides, the battery will drain faster when you fly the drone that high. This drone has been equipped with an advanced visual system that makes it able to avoid obstacles on the sides, back and front. It also has bottom sensors that help keep it safe even when flying in the woods. It is advisable though to fly your drones in clear surroundings. For me, this is so far the best drone under 1000 that I have ever flown. Everything is on point, flight time is good although it could be better. I love taking the drone with me when I am mountain biking. I have shot some awesome footage with it. Holly M.
I do not know whether it is only my drone or there is a problem across board. When my drone is on follow me mode, it loses focus if I move, or the object it is following moves to the shadows. However, I can live with that. Den A. Finally, here is a drone that I can use without the need to use my smartphone. Ever since I started flying the drone, I have never had to deal with signal loss. I would buy the Autel EVO over again. 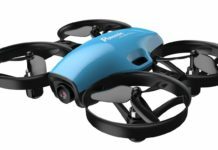 Tamiera H.
This drone does everything that the manufacturer says it can do. I think the videos are quite stunning and there are different filming modes to choose from. John T.
Everyone has a favorite feature in their camera drone. For me, it is the 4K video and 12MP still camera in the Autel Robotics EVO. I have used this camera to shoot videos of my family on the beach and the footage is awesome. Joe C.
I love many things in this drone like the camera, flight time, and the controller with the on-built screen. I also dislike a few things such as the poor user manual and the complicated app. Jasmine W.
Who Should Buy The Autel Robotics EVO? This is an advanced drone. Certainly, it is much better for an advanced user than a newbie drone enthusiast. However, even as a total newbie when it comes to the world of drones, you can still buy it, but make sure to learn how to fly it slowly before you take it out. This is a high speed drone, so be sure not to punch the top speed as it will peak to the maximum of 44mph fast. It would be better to cut your teeth on a smaller drone and then buy this one.